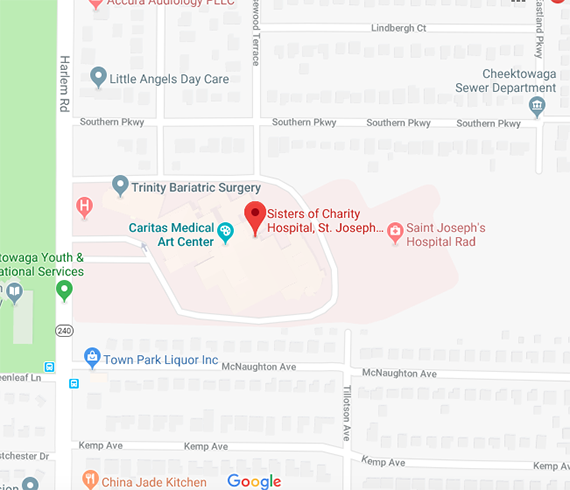 Sisters of Charity Hospital, St. Joseph Campus provides traditional hospital services, outpatient surgery and specialty care centers for wound healing and sleep health. Opened in 1960 by the Franciscan Sisters of St. Joseph the Sisters Hospital, St. Joseph Campus has been serving Cheektowaga and Western New York’s Eastern Suburbs for more than a half-century. Awarded Healthgrades' highest rating in Total Knee Replacement for the second straight year. In the entire nation for Orthopedic Services by Healthgrades in 2018. Meets the highest healthcare standards set forth by the Joint Commission. Get answers to your health questions from expert medical providers. Our community events and classes cover it all.